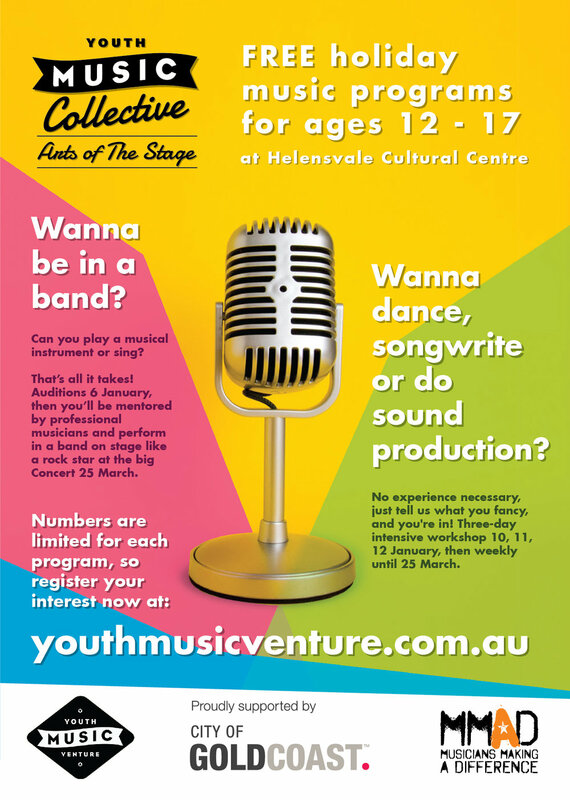 In partnership with City of Gold Coast and Musicians Making a Difference, the Youth Music Venture is delivering FREE workshops, rehearsals and a showcase at the Helensvale Cultural Centrre from January 6th, 2018. Check back in here for more updates or register your interest at our Sign Up page. Newer PostShowcase this Sunday, 25th March!